London Wasps have named their team to take on Bath in Saturday’s St George’s Day Game at Twickenham. Wasps welcome back flying winger Tom Varndell who returns to the starting line-up having recovered from an injury which was initially expected to see him miss the rest of the season. Varndell’s return, after an intensive rehab programme, provides a major boost to the Wasps team who scored seven tries in their big win over Leeds in the last round. Before his injury, Varndell was one of the Premiership’s most prolific try scorers with 12 tries to his name. Elsewhere exciting teenager Elliot Daly has been handed the fullback shirt following his promising performance in last week’s game where he made his first Premiership start. Daly is no stranger to the Twickenham turf having featured there recently for his school where he scored 20 points in helping his side to victory in the Daily Mail/RBS U18 Cup Final. Wasps also welcome back centre Ben Jacobs who has recovered from injury to resume his partnership with Riki Flutey in the middle. It will a last home game for Dave Walder, who is at fly-half, and Mark Van Gisbergen, who is on the bench, as both players are moving on from the club at the end of the season and the experienced Wasps duo will be keen to go out on a high at England’s headquarters. In the pack Zak Taulafo and Joe Ward are named to start this week and after an exciting appearance from the bench last weekend, Billy Vunipola earns his first start in the Aviva Premiership. 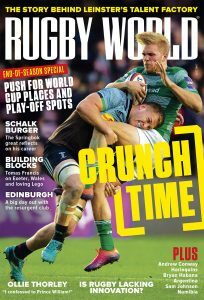 The Harrow schoolboy features along with England U20’s star Joe Launchbury who starts in the second row alongside Simon Shaw having become a mainstay of the side in recent weeks with some striking performances. Josh Lewsey returns to the bench this weekend alongside Nic Berry and Richard Birkett, who all recovered from injury to feature.